Paul has been taking a lot of magnificent pictures around the farm. 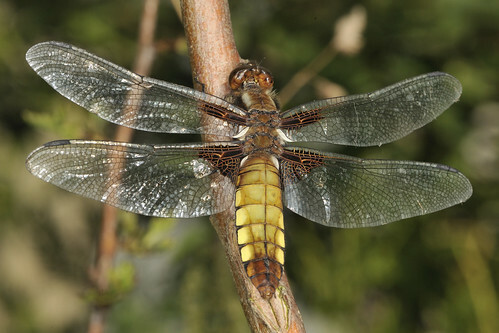 This is a female broad bodied chaser, one of the many dragonflies that live around here. 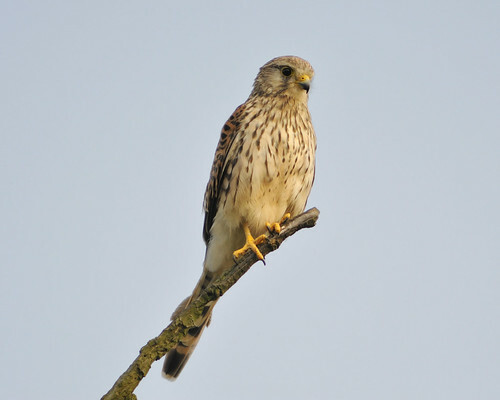 The kestrel perches on the very top of the pear tree, and this is about as close as we ever get to her. She and at least two buzzards hunt across our fields. We've also seen a sparrow hawk a few times. 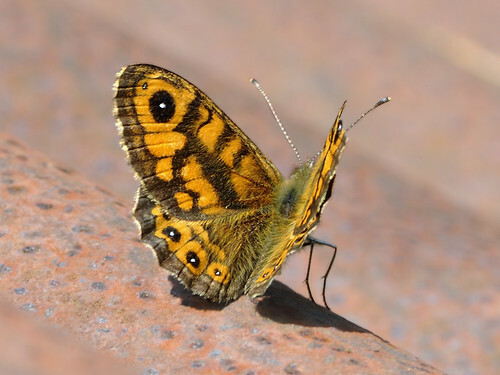 A Wall Brown butterfly, once plentiful, now much rarer. The gaudy caterpillar of the Swallowtail butterfly, living on my carrot plants. We are so pleased to see these, mainly because we saw no adults to lay the eggs and because we've never had Swallowtails here before that we knew about. 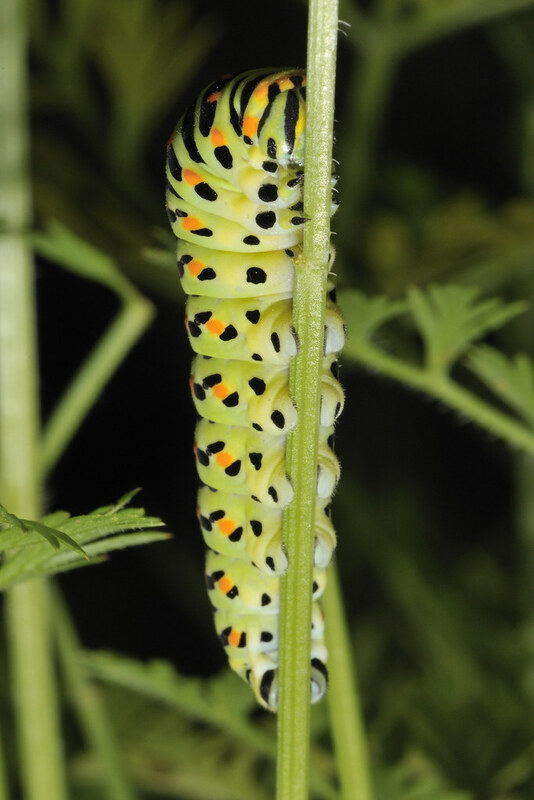 Continental Swallowtails aren't as fussy about their food as the British subspecies and will happily feed on carrot or parsley in the garden. 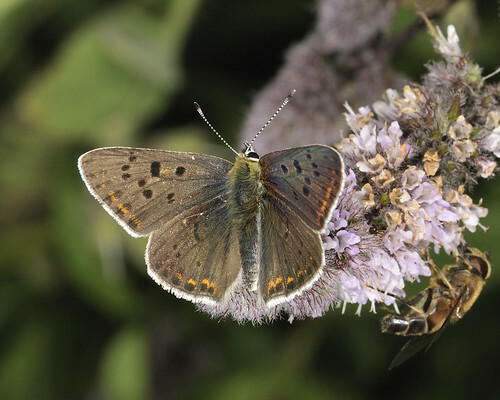 The Sooty Copper is quite a rarity, entirely new to us so we were pleased to make the identification. They are pretty little butterflies. I think this last photo is amazing although Paul would point out that it's only pretty good, real telescopes doing a much better job. We were outside looking for shooting stars during the Perseid showers last night and Paul took a picture of a very bright planet just rising. 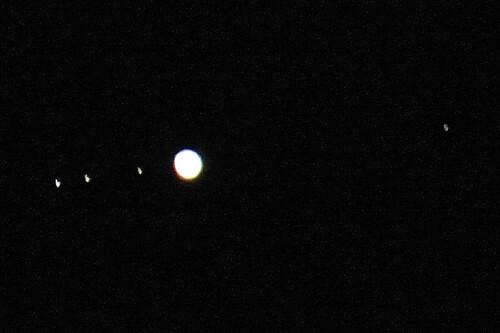 We weren't even quite sure what it was at that point, but the moons (and a quick check on a sky map) identified it as Jupiter with the four most prominent moons, the ones first seen by Galileo, clearly visible. This is strangely thrilling, bringing astronomy home in a way I've rarely experienced it. There are lots more really fantastic pictures on Paul's flickr stream so do take a look. Please remember that copyright is still reserved under a Creative Commons licence and if you'd like to use any of his pictures please let him know. Thanks.